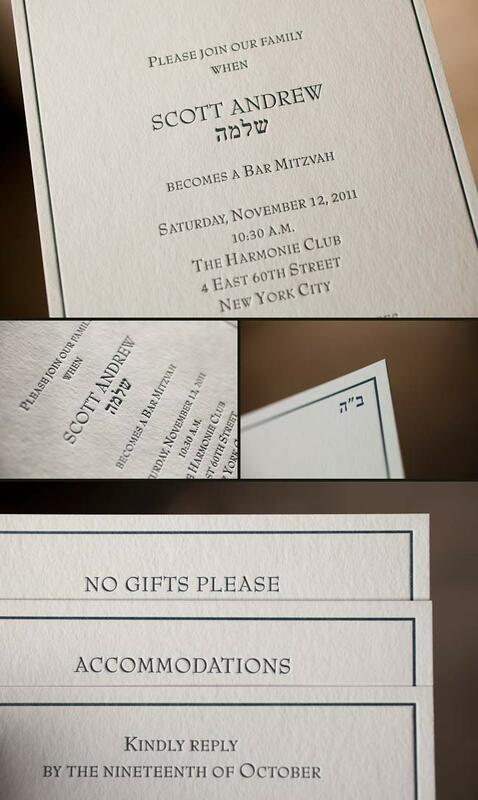 We customized our Trenton design to create Gabriel’s modern Bar Mitzvah invitations. 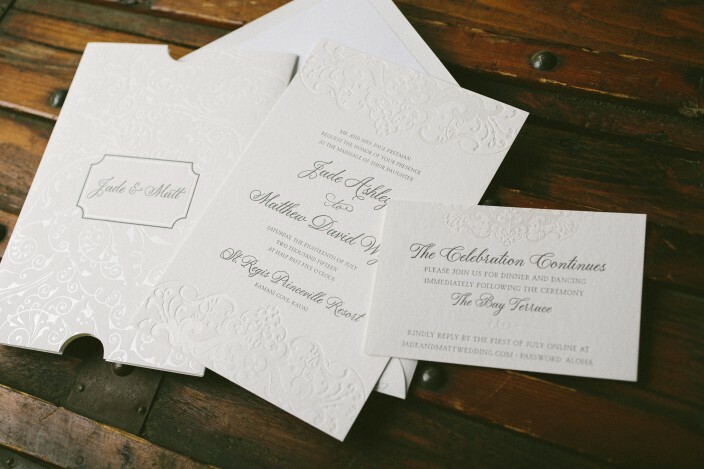 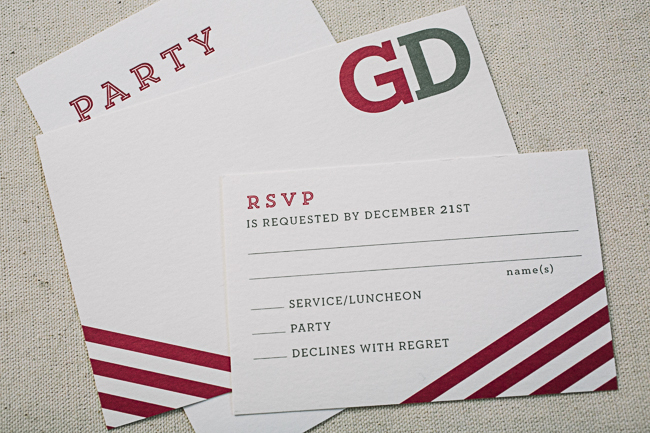 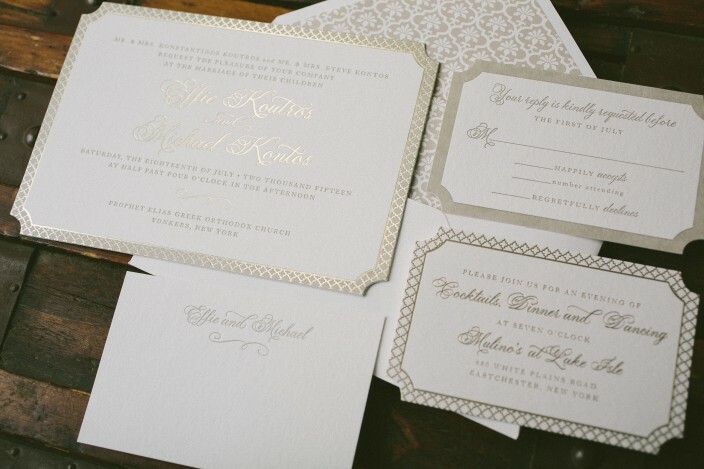 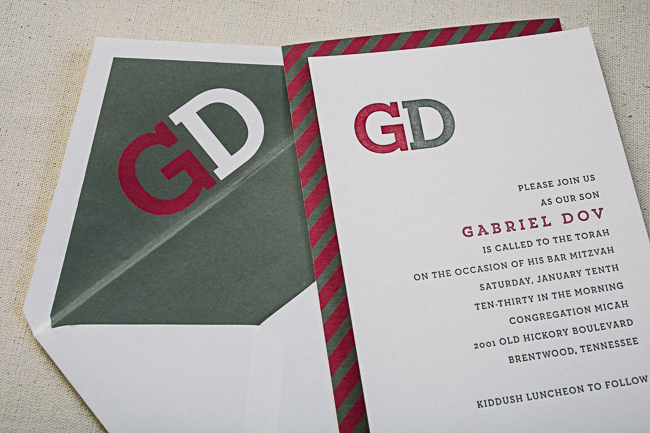 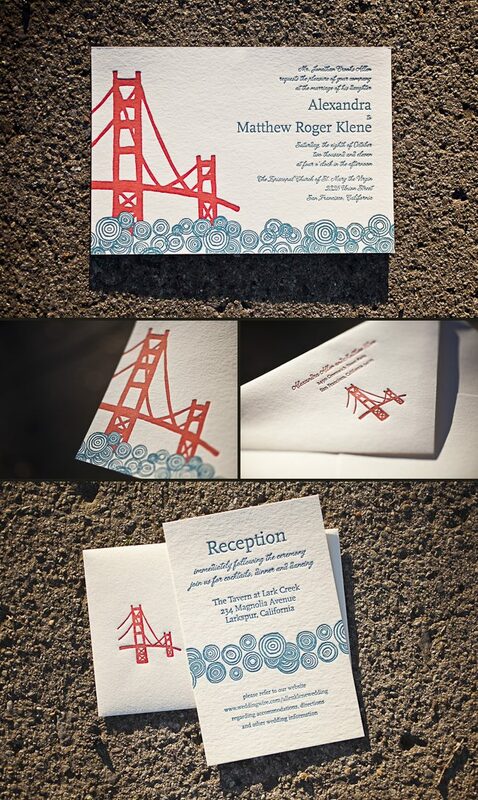 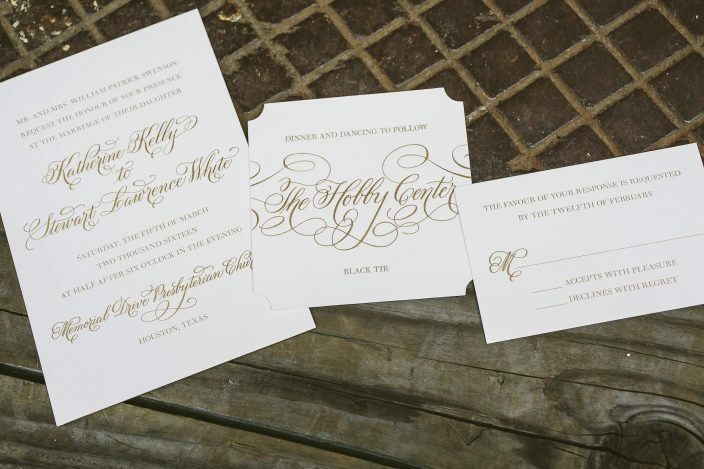 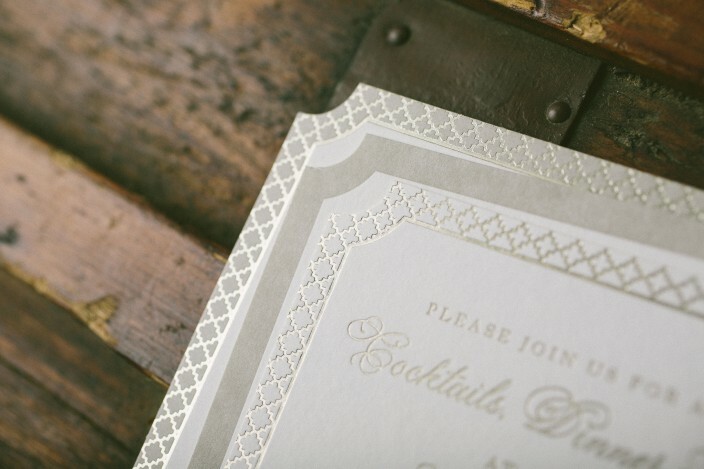 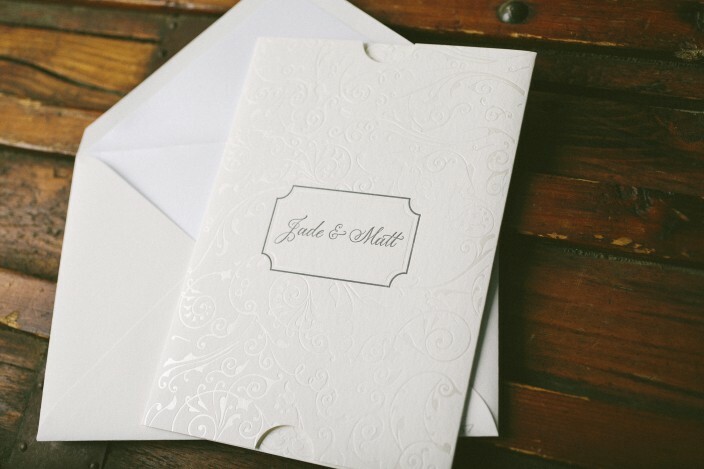 Letterpress printed in cardinal and pewter inks, the suite included an invitation, reply cards, reception cards, and monogrammed social notes. 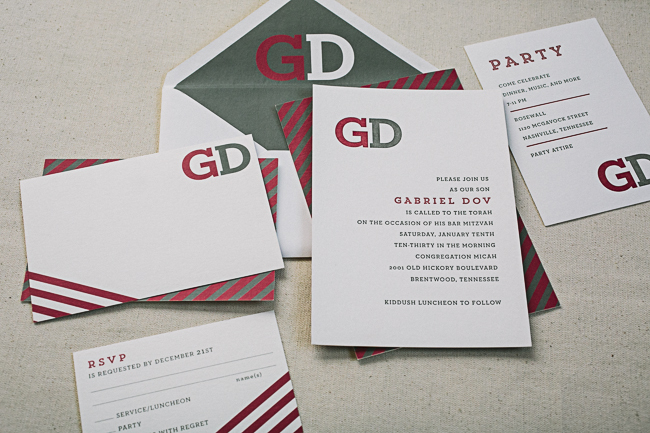 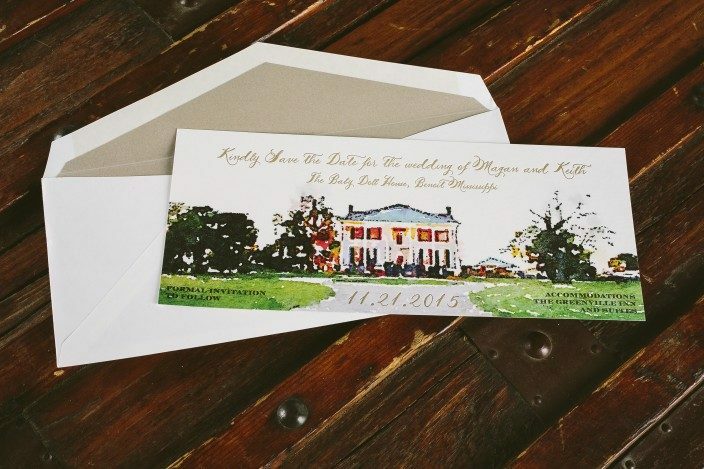 We digitally printed a striped patterned backing on both the invitations and the social notes, and personalized the envelope liners by adding an oversized monogram. 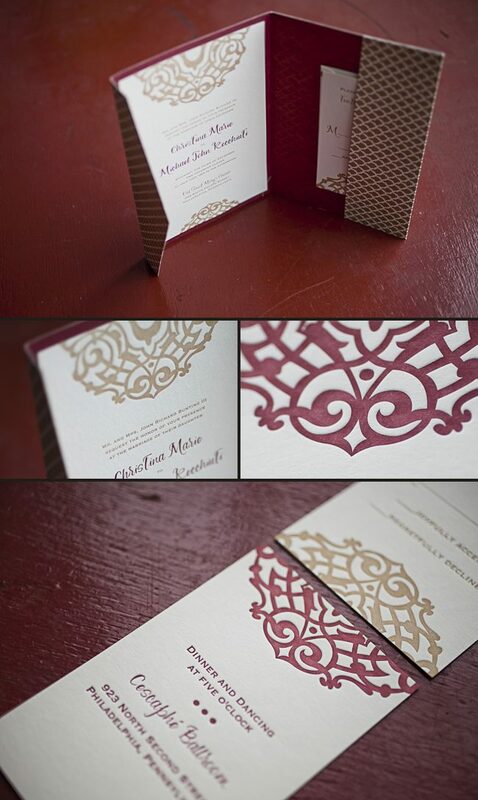 We’re overjoyed to share these recently printed Lashar wedding invitations submitted to us by our friend, Linda at Pen & Paper in Bryn Mawr, Pennsylvania. 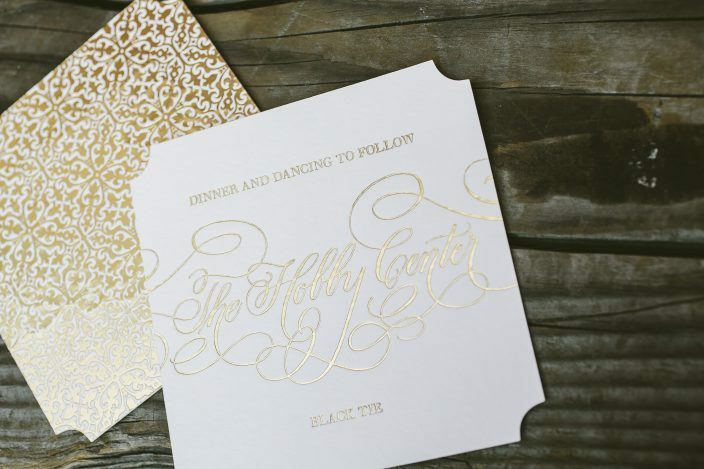 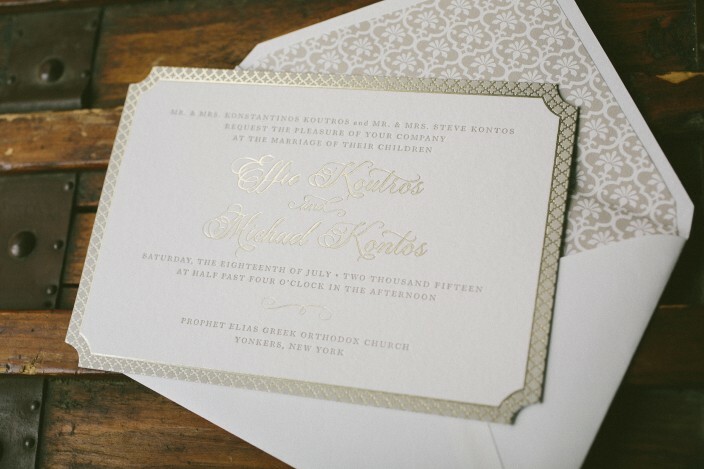 What better color combination is there than mulberry and gold for a wedding celebration in December? 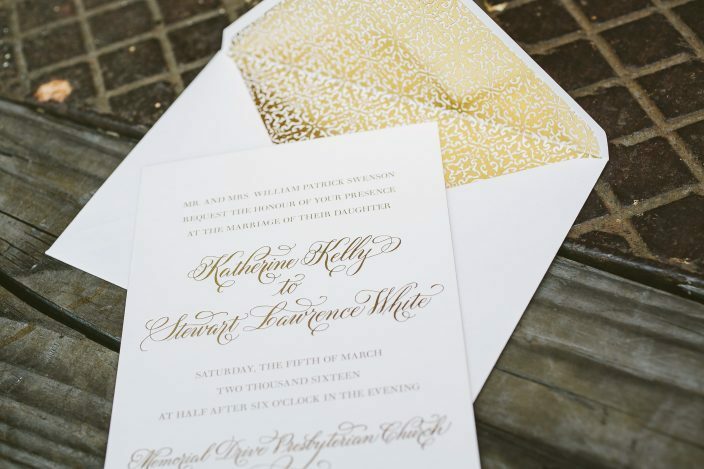 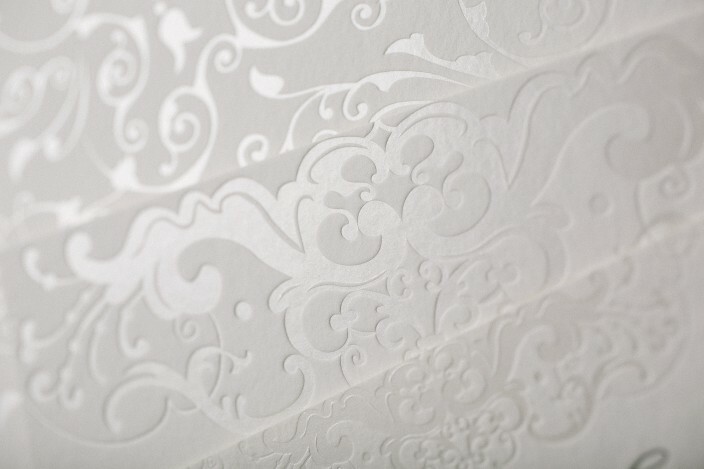 When guests open up the pocketfold they will see the most incredible wash of mulberry and we think this is where the set is most romantic. 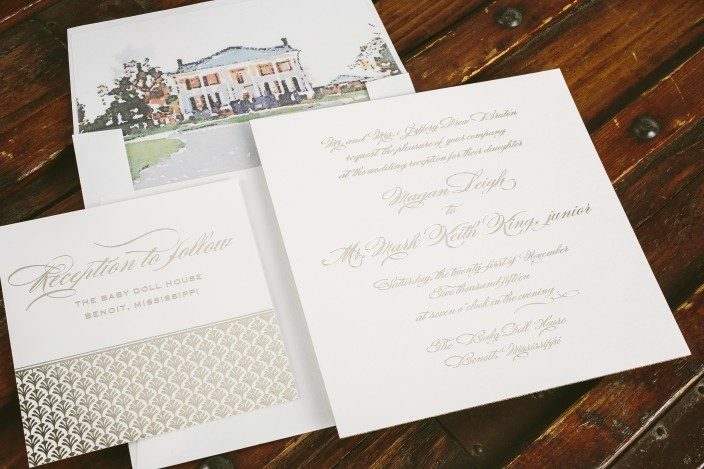 Around here we LOVE December weddings and the colors that come with the holiday season.